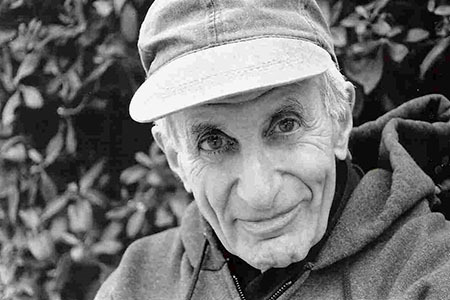 Nonsequitur and the Seattle Chamber Players present the music of Pulitzer Prize-winning composer Henry Brant (Montréal, 1913). A true American individual, Brant’s spatially conceived music is perfectly suited for the architectural and acoustic wonder of Seattle’s Town Hall, and this program has been designed with that in mind. The music on the program spans over 70 years of the composer’s life, including Wind, Water, Clouds and Fire, a large scale work set to text by Leonardo da Vinci and featuring many of Seattle’s top instrumentalists along with the voices of the Northwest Boychoir and Vocalpoint! conducted by Joseph Crnko. Also on the program: Partita (1932) for flute and piano; Crossing the Bridge Before You Come To It (1959, revised 1984) for flute, clarinet, violin, cello and harp; Headhunt (1962) for trombone solo with bass clarinet, bassoon, cello and percussion.